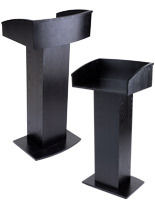 These black hostess stations have a floor standing design and ship fully assembled to save on shipping costs. 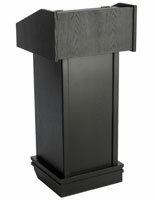 Included on each of these restaurant podiums is a pull-out drawer and an open storage shelf for keeping presentation materials. 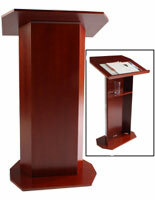 This type of hostess station is made of durable MDF with an attractive wood veneer for professional environments. 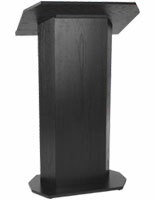 The floor standing lecterns are a great choice for outlets like bistros and fine dining establishments, but they can also be used for presenting to an audience. 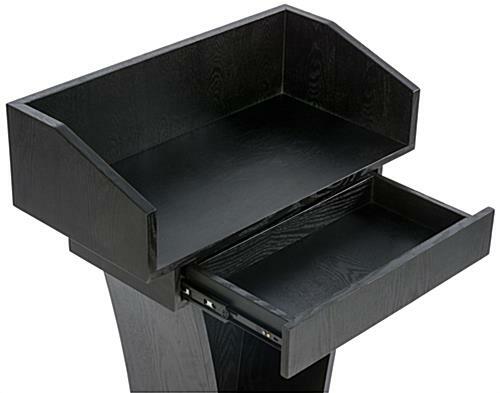 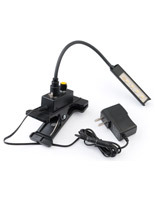 The stations with a storage shelf and drawer have a semi-enclosed reading surface that measures 25.75" x 13". 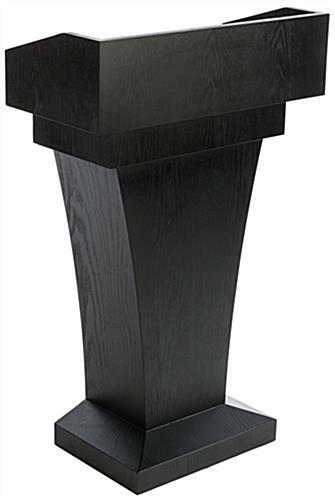 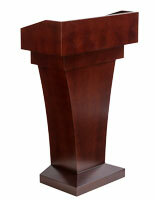 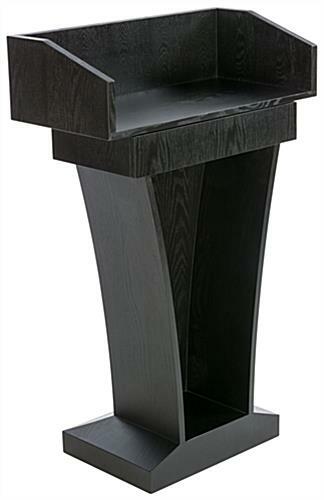 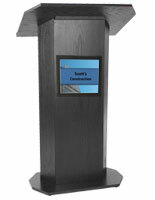 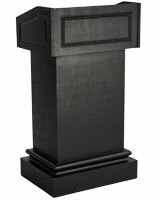 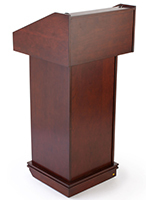 While they have a dark wood veneered finish, these restaurant podiums are also available in mahogany.